Are you considering expanding your business and in need of a loan to finance the project? The Transaction Group is your solution! We have partnered with a major financial institution to provide business loans for expansion of existing businesses. 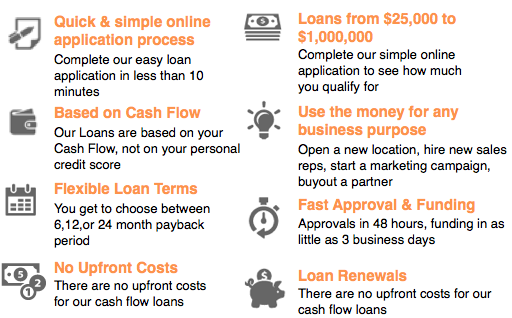 We have streamlined the loan process so that securing financing is easier than ever. With TTG’s expansion business loan program, we don’t even require credit checks! All that is required for approval is that the business has a 12-month history, $5000 monthly business cash flow, and a business checking account. Use the loan for any business purpose: Whether it’s opening a new location, hiring staff, or purchasing equipment. Enjoy flexible terms on loans from $25,000 to $1,000,000. Another great aspect is that the business loan is renewable. Download the application (Business Loans for Expansion) below, fill it out on your computer, and email it to sales@thetransactiongroup.net. Once we receive it, we will get you approved and have the funds deposited into your account in as little as 3 days. Does your business need or already have the ability to process credit card payments from customers? At TTG, we specialize in setting up merchant accounts for all types of business. If you’re in need of a credit card processing solution, or interested in saving money on your current merchant account, allow us to earn your business. With our FREE RATE ANALYSIS, we’ll show you how we can save you as much as 25% on your current processing rates and fees. Send your recent statement to sales@thetransactiongroup.net and we will provide our detailed analysis in 1 business day. Need more information? Call us at 1-888-383-8056 or fill out the form below. We look forward to hearing from you!